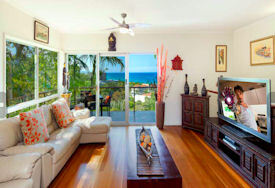 Stay at our Coolum Pet Friendly Holiday Houses on the Sunshine Coast to relax and enjoy the spectacular ocean views. Minimum 3 nights and weekly rates available. 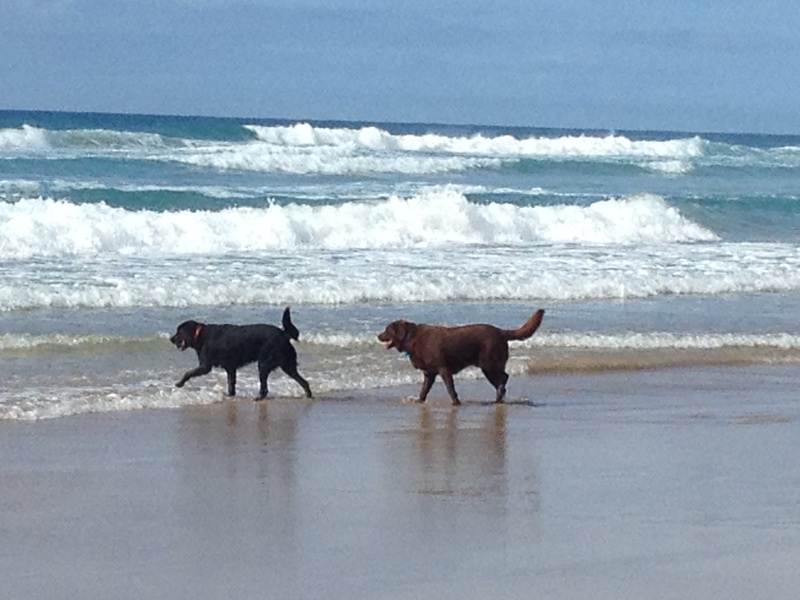 Dog Friendly Holiday Accommodation at the Sunshine Coast! 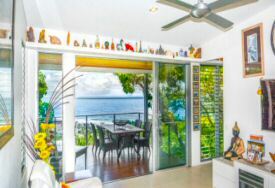 Enjoy your next Beach House Holiday with your Family, Friends, Dogs or Cat! Our Pet Friendly Holiday Beach Houses at Coolum Beach, Sunshine Coast, is more than just a place to stay, you will not want to go home. Our holiday houses are perfect to relax and wind down. We had a wonderful time this past holiday! Waking up each morning with the sound of the sea and relaxing at the end of the day in the jacuzzi! We loved walking down to First Bay and play with Eddie (our dog) on the beach while the kids jumped in the waves. Thanks Maureen! We had a wonderfully relaxing break at Maureen and Richard’s accommodation! Sitting on the balcony enjoying the view with wine and nibbles; enjoying watching the rain come in over the Pacific Ocean making everything fresh again; taking the furred ones for a play at Stumers Creek; relaxing in the spa in the evening listening to the crickets; and simply falling asleep with the sea breezes through the windows. Absolutely perfect. Thank you, Maureen and Richard. We loved staying at Point Lookout accommodation. The holiday house is gorgeous, lovely and clean. Needless to say, the views are breathtakingly beautiful. We all had a great stay including little Bluebell. Thank you again and hope to see you again soon. Thank you, Maureen for a lovely holiday in your wonderful home. I could sit for hours on the deck taking in that view! It definitely is a home away from home. You have thought of everything plus of course being able to bring our faithful puppies. We will see you again. Our Pet Friendly Holiday Houses have been operating since 2006.